How does billing work for sub accounts? The same card can be used for any subaccount created however each account will be billed separately and needs to be set up as such. 1. 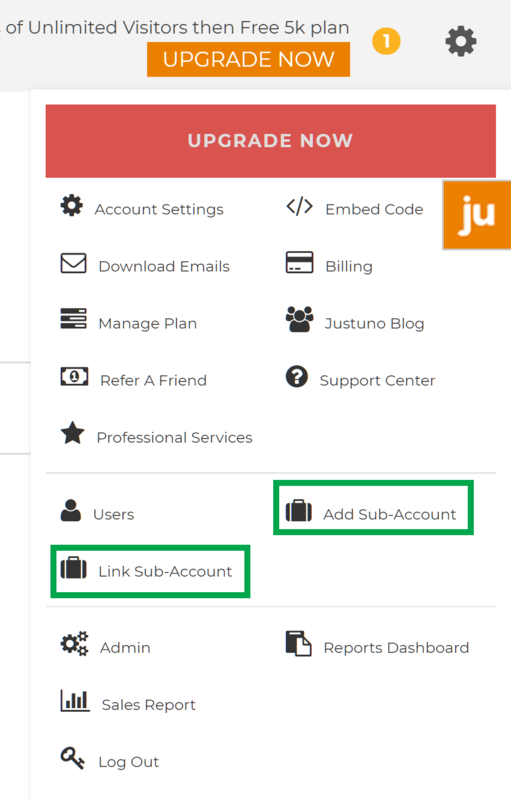 First click the setting cog and then select Add Sub-Account or link an existing account with Link Sub-Account. 2. 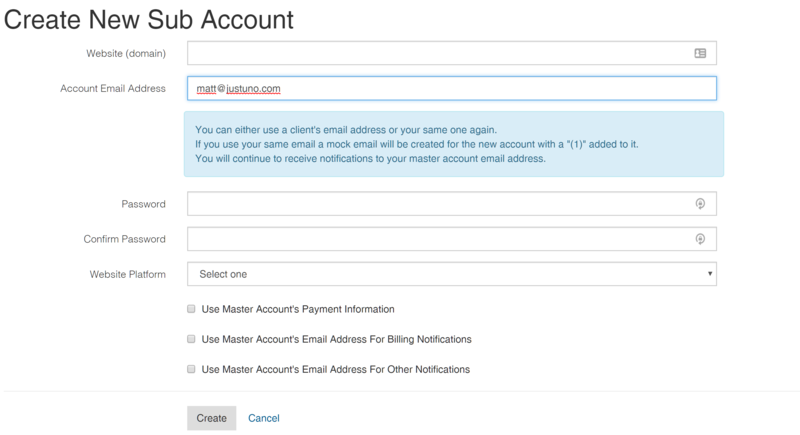 Then, if a new account is to be created enter the required information, otherwise just set the billing information for the sub-account.